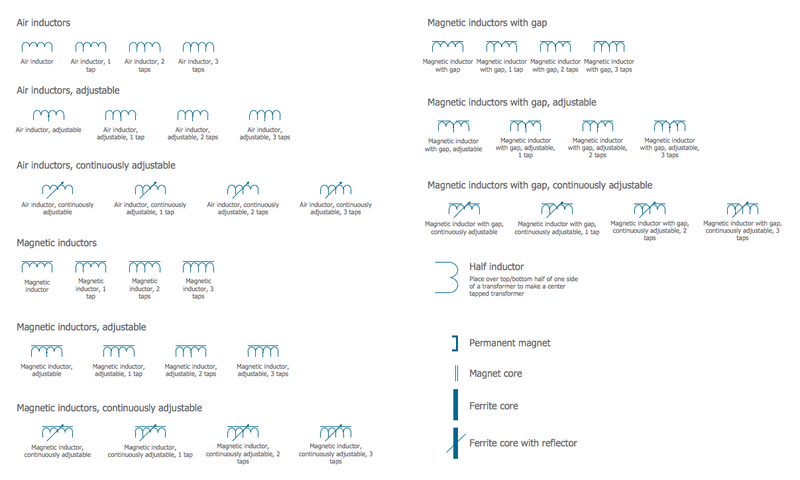 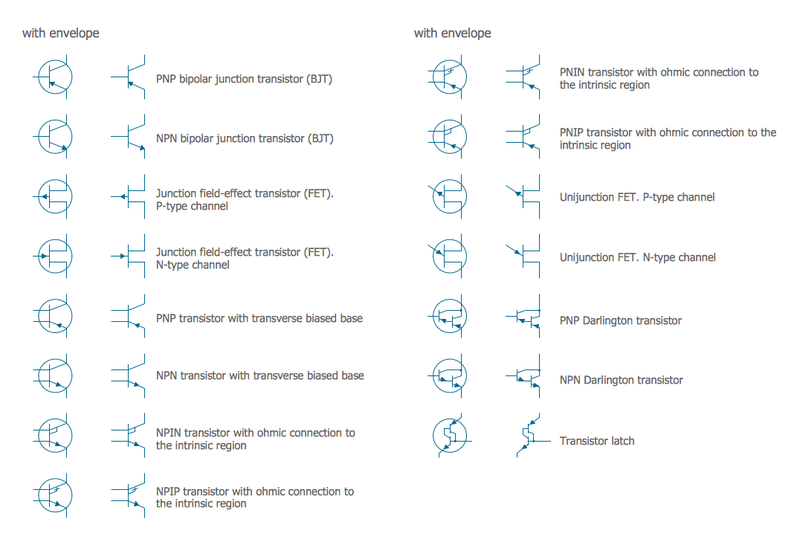 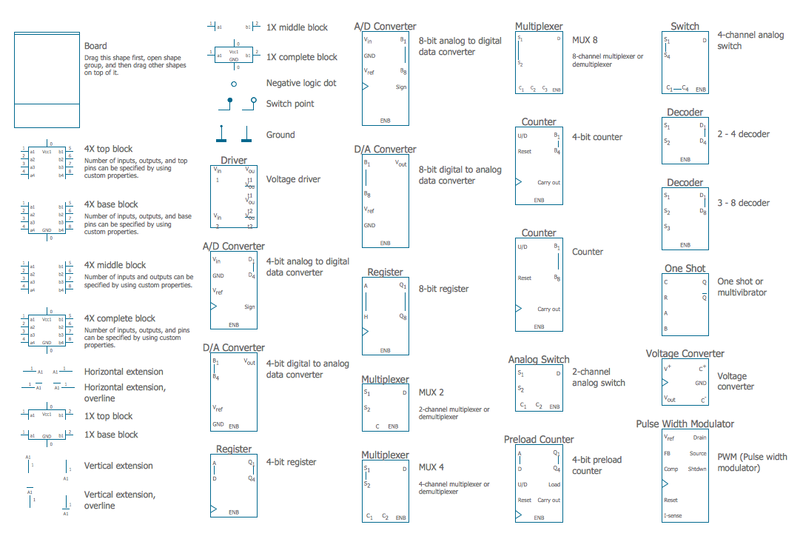 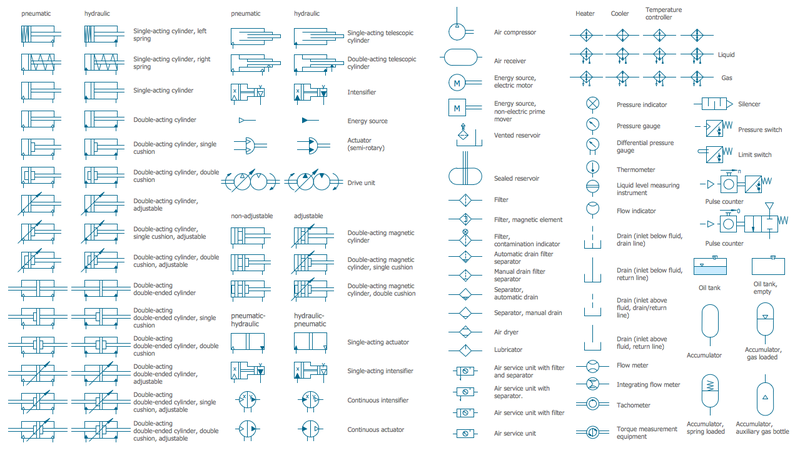 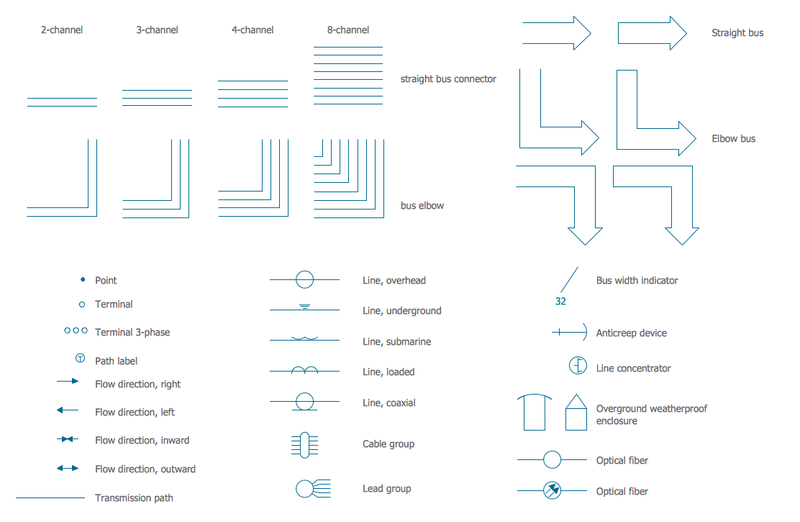 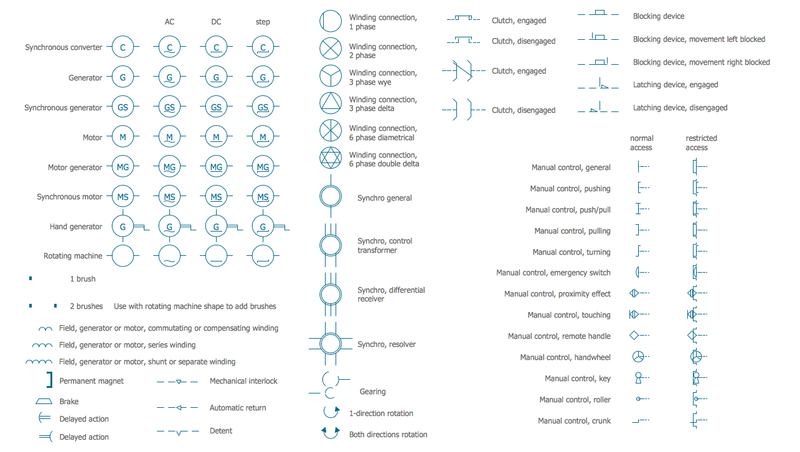 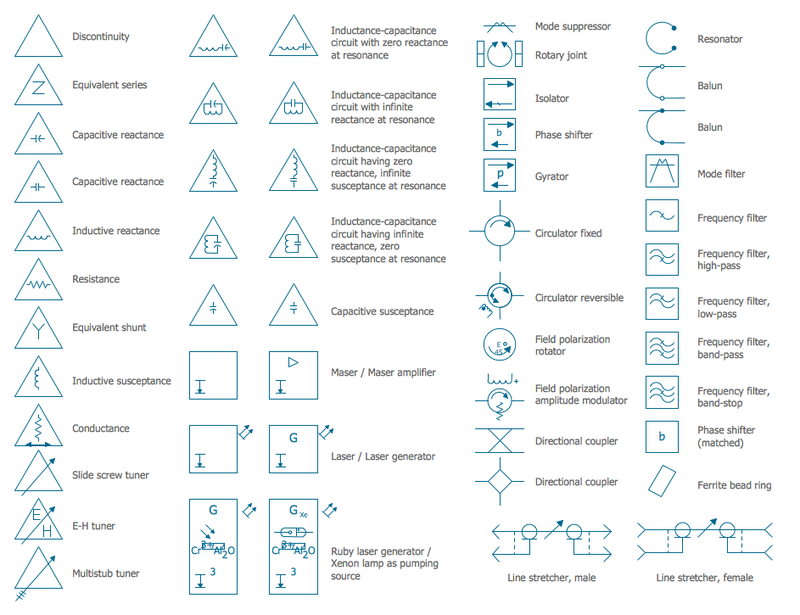 The vector stencils library "Resistors" contains 14 element symbols of resistors for drawing electronic schematics, circuit diagrams and electrical drawings. 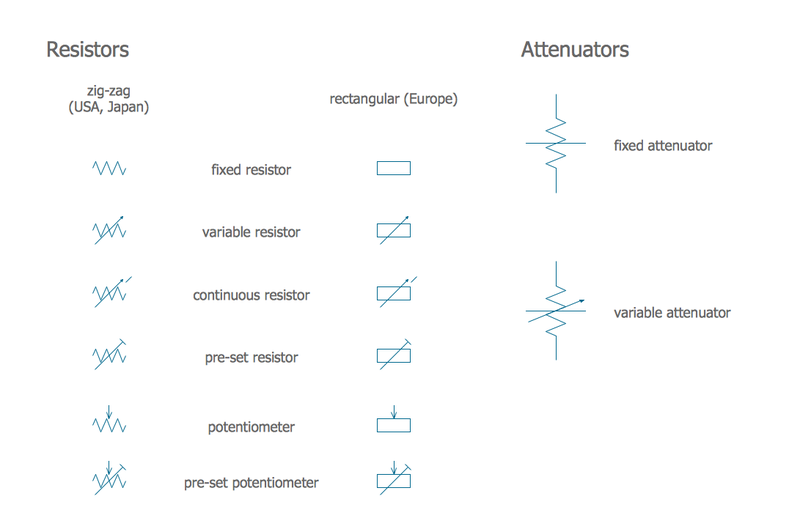 "A resistor is a passive two-terminal electrical component that implements electrical resistance as a circuit element. 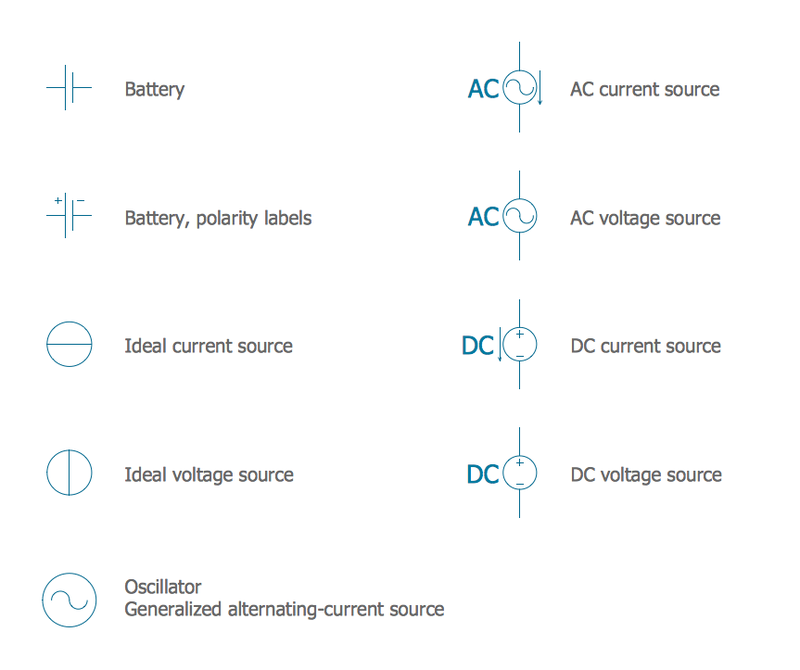 Resistors act to reduce current flow, and, at the same time, act to lower voltage levels within circuits. 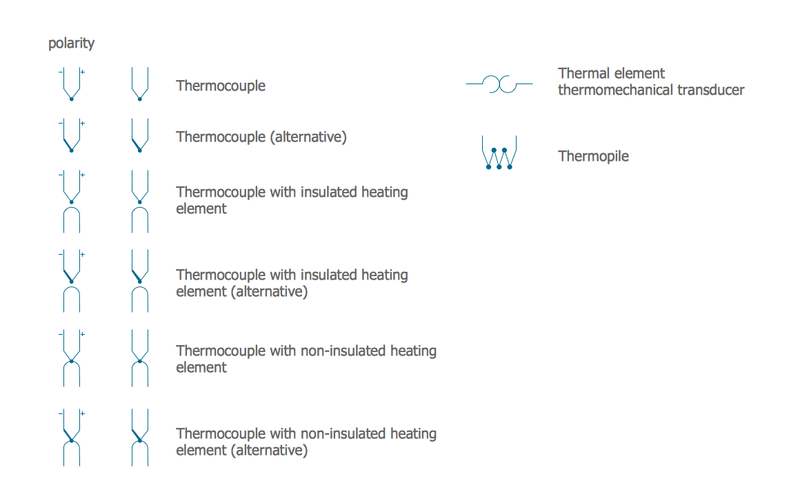 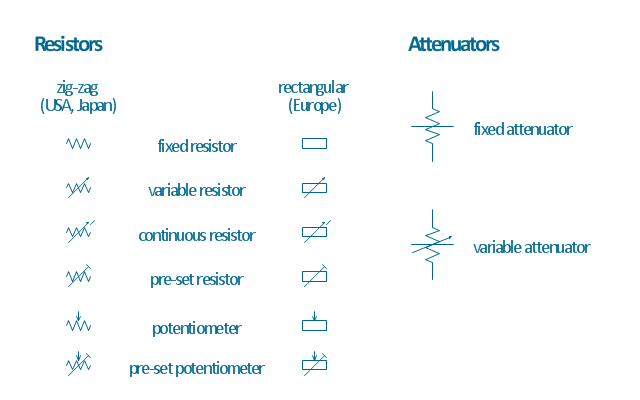 Resistors may have fixed resistances or variable resistances, such as those found in thermistors, varistors, trimmers, photoresistors and potentiometers.